We all love our pets. They bring us endless joy, fun, and make us feel like rock stars every time we come home (or pull their food out of the cupboard). Unfortunately, they also can bring a lot of extra wear and tear to our homes, and particularly to our flooring. If you have a big dog especially, or one that loves to really launch during high-energy games of fetch, well, you know what we mean. If you’re planning a DC area home remodel and are dreaming of hardwood floors but just can’t imagine how you can keep them protected, never fear. We have an alternative. Depending on how tuned into the home improvement world you are, you may not realize that there are stunning hardwood lookalike flooring options available today. We’ll get into the practical benefits below, but first let’s take a peek at the aesthetics. Whether you love light or dark stains, the look of reclaimed boards or flawless hardwood, the options are nearly endless. 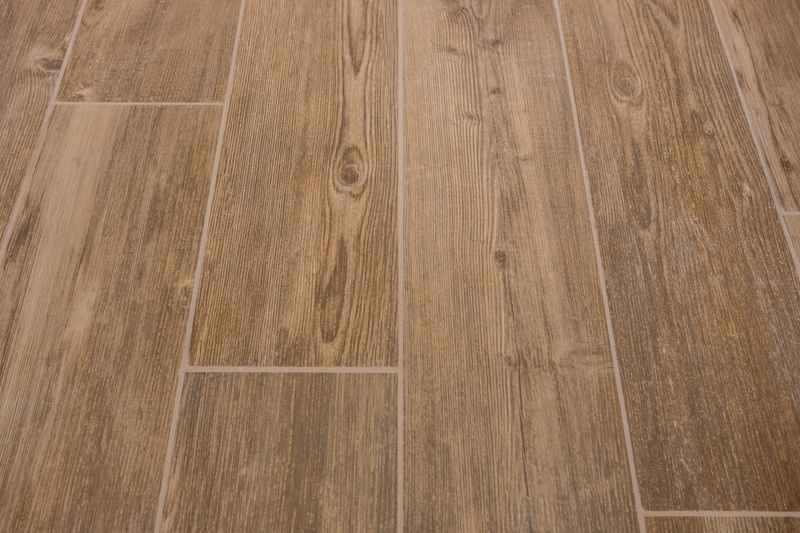 And, if you look for options with rectified edges, the visible grout is kept to a minimum to complete the hardwood look. If you’d like more information, be sure to check out this article that debunks four common tile flooring myths. 1) Durability – Claws, high traffic, kids... no problem! Ask your builder or remodeler about what options are available, and which they recommend based on their experience. And, if you live in the DC area, we hope you’ll contact us at Stohlman & Kilner Remodeling Contractors. Home improvement is our area of expertise, and it would be our pleasure to serve you.